We all know that Walt Disney World parks can be expensive. When you factor in lodging costs, ticket purchases, transportation to and from the parks, and, of course, dining, the total cost of a Walt Disney World vacation can have you staring at the figure wide-eyed and shaking your head. Compliments of my family’s love for the parks and knowing where to cut costs, I’ve compiled an easy list of freebies that will help you cut costs and keep money in your pocket on your next visit to the most magical place on earth. Here’s our list of the best free stuff at Disney World and 11 easy ways to save money. The #1 freebie tip: There’s no need to spend upwards of $4 for a bottle of water at the Walt Disney World parks when you can mosey up to a counter or restaurant that sells fountain drinks and simply ask for a free cup of ice water. This is especially true on those hot and humid Florida days when you need to stay hydrated. We ask for a cup of ice water for each family member and always receive them with a smile. This is a super fun freebie! Club Cool in Future World at Epcot is the spot to visit for unlimited free samples of Coca Cola products from around the world. We’ve sampled flavors from Mexico and Europe. If you’re up for a challenge, try the Beverly and make sure your camera is rolling. Whether you’re flying or driving in, once you’re on Disney property you never have to worry about transportation to and from the parks and resorts. 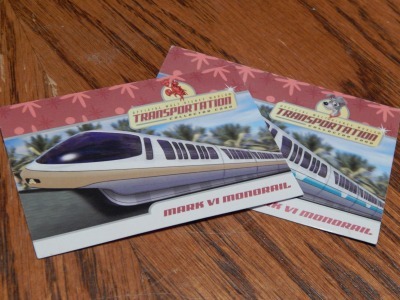 And while you’re on Disney transportation, don’t forget to ask the bus, monorail, and boat drivers for free transportation cards. We’ve just recently begun collecting them and my daughter loves the card style and selections. This is another great freebie! With daily park admission, head to the Main Street U.S.A. Fire station to collect a free package of Sorcerers of the Magic Kingdom cards and get ready to have some fun. The game is not only a great way to find your way around the Magic Kingdom, but it’s a blast trying to thwart Disney villains. We make it a point to play the game at least once a day so we can collect a new pack of cards on every new visit. While you’re moseying down Main Street, don’t forget to look at the details. Here’s seven cool secrets on Main Street U.S.A. you probably never knew. Throughout World Showcase in Epcot, there are Kidcot Fun centers filled with activities and art. My family’s favorite is getting a free Duffy the Bear cutout to color. Then, by making our way around each of the 11 countries that make up the World Showcase, my daughter gets her Duffy cutout personalized by the cast members. They draw their country’s flag or write her name in their native language on the back. Have blisters from walking miles a day in the Walt Disney World parks? Each of the four Disney World parks (and Disney Springs) has a medical center where you can receive bandages for free. They also have the ability to take care of common ailments, so feel free to stop in a take a rest. The centers offer over the counter medicine, too, so you don’t need to pack it if you only use it occasionally. Want to learn more about what not to bring to WDW? Here’s 8 things not to pack for Walt Disney World. If you and the kiddos are fans of Disney characters, waiting in line for an autograph or photo is a no-brainer. The characters will interact with you and I love their autographs, not only as a memento but for remembering the fun my family had while we had a moment to catch up with our favorites. and don’t think you have to take an autograph book for the characters to sign: folks take hats, wooden boards, picture frames – you name it! 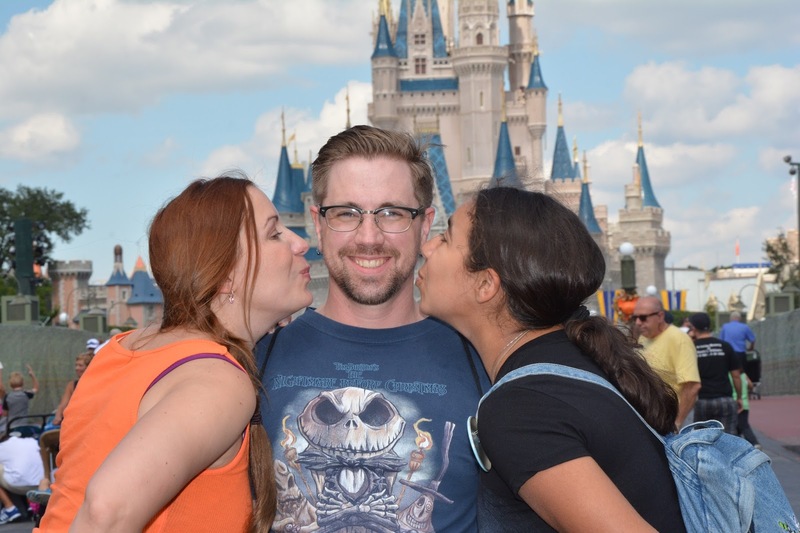 We love purchasing Disney Memory Maker photo packages when we visit. If you choose not to buy the photos, you still have the option of professional Disney photographers taking your pictures when you visit the theme parks. All you have to do is ask nicely and hand them your phone or camera. If you want to purchase a Memory Maker package, do it before you hit the resort at least three days in advance. You’ll save some serious cash. If your kiddos love to collect stickers, or even if they’re casual sticker lovers, many non-character Disney cast members carry a roll of stickers in their pocket to pass out to young kids. And older kids. And adults. Hey, I’ve gotten my fair share of free stickers at the parks. Also, free celebration buttons can be found at every Disney World resort check-in desk and most theme park stores. Ask for yours to be personalized and cast members will happily oblige with dates and names. Fans of the cartoon Phineas and Ferb? Head to World Showcase in Epcot for a free and fun interactive adventure. The game is quest-style and the goal is to beat the evil Dr. Doofenschmirtz and his plots to ruin the world. After an exhausting day in the parks or even when we first check in, it’s always fun to stop at the front desk on the way to our room and ask for a balloon or two. We place them all over our room, but families with younger kids happily tie them to their strollers and wheelchairs. If they’re out of balloons, ask what other goodies they have to give away. Tip: you won’t find balloons at Animal Kingdom Lodge. It’s intentional to keep the animals safe. Dig this post? There’s more what it came from! Rivers of Light Show to Debut on Earth Day at Animal Kingdom: Will You Watch? That's a great tip! We love pin trading- thanks!